My father died on Easter Monday, April 24, 2000. According to my friend Mimi, dad’s timing was good because God picked him up on the way through. I had to smile at her words but deep down I was filled with sorrow and regret. Our 14 – year caregiving journey together toward the end of his life was hard on both my father and I for reasons that could have been mitigated – if only I had known. We give lots of press to the implications of obesity, smoking and (in)activity, and as a society are spending millions to try and convince Canadians to give up bad lifestyle choices which can lead to chronic illness. The sad part of all this is that Canadians have control over these choices. What we don’t do is support are those of us who have or are now caring for loved ones with multiple chronic illnesses, over which they have no control. My father lived a healthy, active life but ended up suffering more than any one person should – from chronic illnesses he would not prevent. 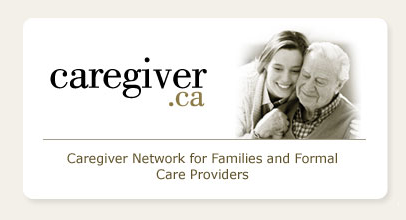 I will not go into the caregiving statistics in Canada; we know what they are. But until you have been a caregiver for a chronically ill loved one or friend, you can have no idea the toll it takes on both caregiver and care receiver. Research indicates I was a fairly typical caregiver. What it doesn’t indicate is how my life was changed forever by this experience. I lived with sadness and guilt as constant companions while I watched my father slowly deteriorate. I was his only connection to what he once was – a huge burden but also an immense honour. Who I was and what I did, directly or indirectly were responsible for all the happiness my father felt. As a caregiver I lost work opportunities; I lost a personal relationship. I lost sleep, self-confidence and my health. I felt isolated from and terribly angry with my brother and sisters. I was lonely – -people who weren’t caregivers really couldn’t understand this pull one has to an aging, ill parent. I cannot begin to calculate what caregiving did to my body and mind during those years; a diagnosis of depression around year three of the journey, and continuing rounds of colds, flu, pain and exhaustion should have told me that I was pushing myself too hard both physically and psychologically. They should have told me that I did not have the disease information and support I needed to care for both my father and myself. Worse for me now, however, is living with the reality that I did not realize the pain my father continually suffered. Although I believe he had good medical care, no one sat me down to explain what changes my father would endure as his body aged and he began to succumb to a myriad of chronic illnesses. The terms preventative and holistic were not – and in my mind still are not – part of the care conversation between physician and elderly patient/family caregiver. As my father aged and finally had to move into a nursing home to ensure the 24 hour two-person skilled care he needed, I wish I had known how much I and others may have hurt him as we transferred him from bed to wheel chair, or moved his arms to try to put on or take off a shirt. I had never heard the word contracture until I asked why my father winced in pain during my care, when all I wanted to do was help. But the arthritis was not the worst of my father’s afflictions. Stroke disease led to vascular dementia and probable Alzheimer’s Disease, a condition now called mixed dementia. In my mind dementia is a chronic condition; it gets worse over time, it causes permanent changes to the mind and eventually destroys quality of life before it ends life. Once again no one told me what dementia was, how it would progress or how it would completely alter both my life and my father’s life. As his dementia increased, no one told me how my heart would break when I walked into his room and his face would absolutely light up – because I had become his whole world, his protector, his security. No one told me what is it like to be frail, dependent and chronically ill. I tried desperately to put myself in my father’s shoes, to try to imagine for one minute what it must be like to be unable to walk, to talk, to think, to communicate, to do. I tried so hard that sometimes I broke down in tears, but I don’t think I ever got there. It was impossible for me to imagine being so dependent, so unable. The majority of us will not be faced with critical or chronic illness ourselves before we become caregivers. But we need to have a better understanding of what it is like to be dependent or even helpless. We need to have a better understanding of what chronic pain does to a body and soul. I did not understand the reality that pain in the elderly was and continues to be under treated. The February 21, 2008 Statscan report stating that more than one-quarter of seniors living at home report chronic pain is discouraging to say the least, given the millions of us who are moving into our senior years. 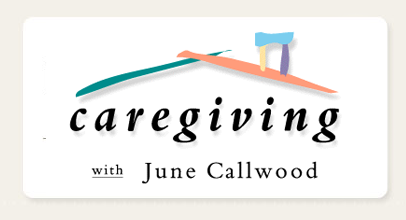 Caregiving until the end of life leaves few untouched. In most cases the death of a loved one allows caregivers to heal and move forward, wiser in the knowledge that the circle of life continues as it always has. 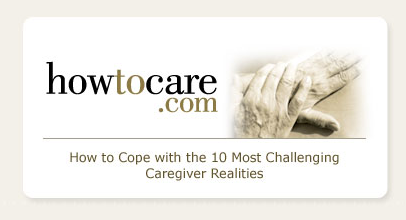 Dementia, however, imposes its own set of unique sorrows upon caregivers because when the dementia journey is supposed to be over, it’s not over. After this unspeakable injustice has robbed us, the daughters and sons, of those we love, after we manage to shake off the shock, the fatigue and the disbelief over what we have lived through, what remains is the dark terror that we will follow in our parents’ genetic footsteps. If a little knowledge is a dangerous thing, what will too much knowledge do to us who are left behind, year after year, after year? Like all caregivers I had to learn to carry on and live with the past and the decisions I made. Months ago I was watching the television program Boston Legal; the program’s theme was Alzheimer Disease – an interesting portent? The last scene of the hour showed one of the lawyers in a room of a care facility. She approached a bed in which an older man lay, on his face the vacant look of dementia. She bent over and said: Hi dad, it’s your daughter Shirley. After she settled in she asked: So what shall we read tonight? and opened a book, clearly continuing a nightly ritual. At this point I started to cry. Why? I can only explain this as what I have come to understand as the dementia demons. I cried because I was asking myself: Why didn’t I read to my father quietly every night? Maybe it would have helped him, hearing my voice, feeling my presence as he closed his eyes. There are many demons that haunt caregivers – the could haves, the should haves, but the most heartbreaking dementia demon is: Why didn’t I know? Why didn’t someone teach me about this illness? Why wasn’t there more that medical science could do? I will end this article with words about the past. For nine years my wonderful long term care dog Oreo enriched my life. After I adopted her from the Humane Society – she was abandoned in an apartment and left to die – she went everywhere (where it’s legal!) and did everything with me. She was a constant nursing home visitor during my father’s last years, and brought immense joy to every resident who had ever owned a dog. But she faced a fate similar to my father’s; she was only 10 and had fairly severe hip arthritis, to the point where some mornings she can barely stand up. I did everything possible for her, but I knew it will only get worse. She could understand, she could only gaze at me with her huge amber eyes with a look that said: Please help me. Sadly, she died in March 2008 of bone cancer.